Psychotherapy, techniques and programs to build self confidence, self esteem, resilience and overcome anxiety. I have been married for 30 years. Every Shabbos and Yom Tov my wife makes the best kugel in the free world—potato, lokshen, sweet and Yerushalmi –she surprises us. Since there are approximately 50 Shabbosos and 12 days of Yom Tov per year, she makes 62 kugels every year. Multiply that by 30 years of marriage and my wife has delighted me and our family with 1860 kugels. And what is my response? Every single Shabbos and Yom Tov I have thanked her warmly for each kugel—and I have paid attention to detail; Yerushalmi, Sweet, Potato, Raisin… And yet, after all these expressions of love on my part, she still says, “You are just not “there” for me.” I just don’t get it. I try to be an expressive and appreciative husband and I have kindly thanked her for all the kugels– and all the meals— and all the carpools, and even her teaching salary that brings income into the family—and still—I am not “there” for her? What more could she possibly want and what more can I possibly do? I am ready to give up. The key to unlocking this problem, which I have encountered hundreds of times in my counseling office, is learning the art of emotional support. My definition of being a good husband is working hard, being polite and thankful for all that my wife does, provide for the family as best I can, learn Torah, lead the Shabbos table, and thank her for every kugel. My wife’s definition of a good husband is all those things, but with one addition–being emotionally supportive of her and the children. I never learned the art of emotional support in chosson classes and I must have been absent when “they” gave out emotional support. So you know how I learned it? My wife taught me. She explained to me what she needs from me—feedback of not only what she does—but input and my noticing who she is. There is a huge difference between what a person does, and what a person is. Intellect: Are you a good conversationalist, street smart, havecommon sense, strive to learn more each day. 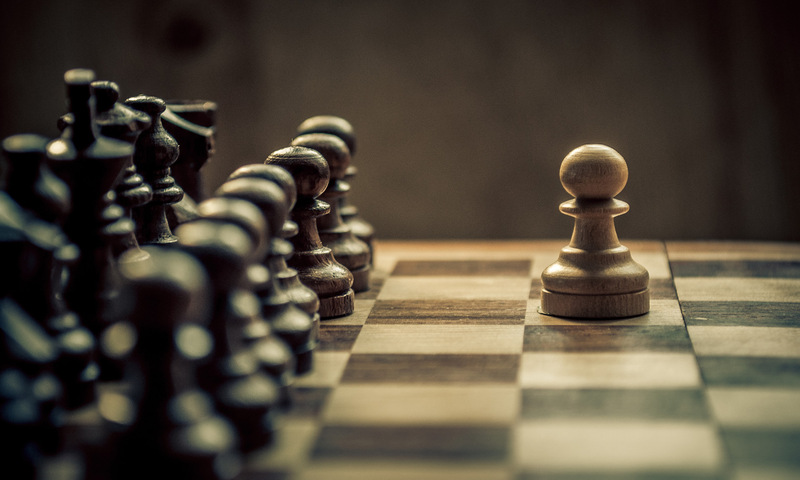 Are you a problem solver? Social: Are you a loyal friend, outgoing, helpful, a good listener, kind, reliable, a confidante, able to keep a secret, involved in visiting the sick, involved with social-action projects? Spiritual: Do you see Hashem’s hand in nature? Are you inspired by music, sunsets, long walks in the country? Are you ethical; honest? Do you pray? Do you feel close to G-d? What aspect of Judaism inspires you? Shabbos, learning, chesed, tefillah? Accomplishments: Are you helpful? Do you work out, do chores, help neighbors, make dinner, and organize the house? How have you grown as a person in the past two years? What attribute are y ou working on? Family: Are you a contributing member of your family, emotionally supportive of spouse and children, playful, committed to spending time with family, loyal, dedicated? Nakei-Resilience. The ability to bounce back and start again. When you contemplate, recognize and activate the one or two attributes which are your strongest attributes—that is the real you—the part of you which is an expression of Godliness. When you use those attributes you become truly “alive”-and that is why you feel shleimus when you live these midos. This is who you are—because with these midos you are emulating Hashem—and are fulfilling the mitzvah of V’halachta B’drachav—to walk in His Ways. 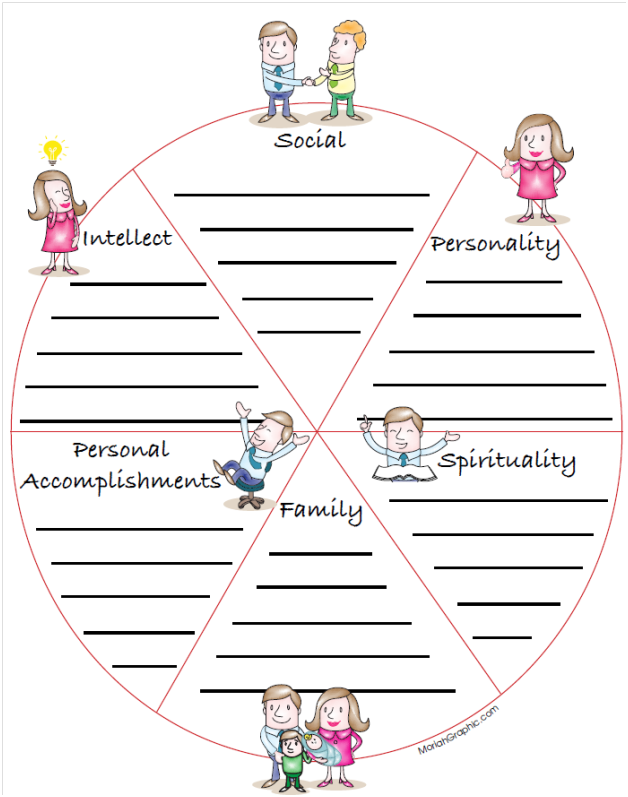 If you use this Wheel of Strengths—one for your yourself and one for your spouse–and comment and give each other feedback every day of something constructive your spouse did that day—you will be noticing much more than simply what he or she does—you will be recognizing who they “are.” This is how you can “be there” for your spouse– by validating her midos and values—not just her kugels and carpools. This Shabbos my wife will be making Kugel Number 1861. But when I point out to my wife which midos she used this week—from her Wheel of Strengths–I will graduate to “being there” for her. I will say, “I appreciate the effort and love you put into making that kugel to enhance our Shabbos.” This is called emotional support. And the kugel will be amazing too.